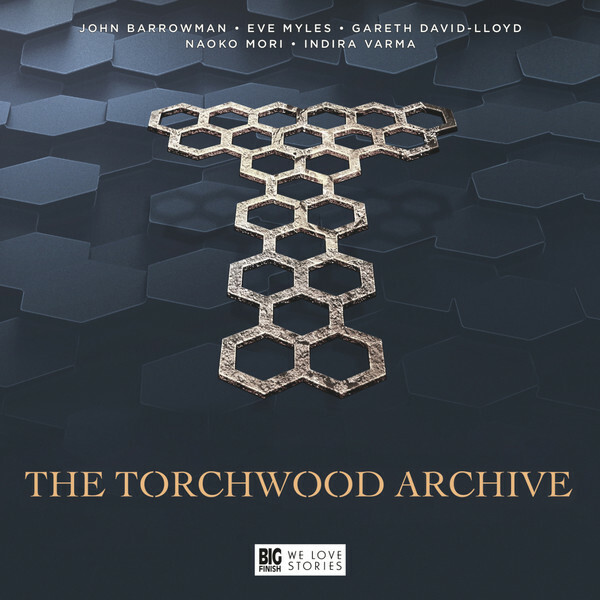 Torchwood is ten, and if The Torchwood Archive is any indicator, Big Finish will single-handedly make sure it has many more anniversaries to follow. Writer/ producer James Goss and director Scott Handcock have created a joyous celebration of everything the show means, blending both the TV and their own recent additions to the mythology. We even learn a lot more than might be expected about The Committee. For a story built out of snippets of every character Big Finish could get hold of, James Goss takes the choice of centring the action on new character Jeremiah Bash Henderson (Richie Campbell). Jeremiah finds the Archive and is treated to its history in the company of various holograms, mostly one of Sgt Andy. There’s a plot built around a piece of alien tech known as Object 1, and this is threaded throughout the whole of Torchwood history including Queen Victoria, the battle of Canary Wharf and the Committee. In the end though this is a way to mark ten years of a show as popular now as it ever has been, and not only that but there’s a clear message. Torchwood will continue. This can only be a good thing when the standard is this high. The two discs are built from dozens of short and long scenes, allowing Big Finish to grab moments during the recording of the two previous audio series. There’s lots of continuity back to the audios, but I don’t think it is vital for enjoyment. I would be interested to know who buys this if they haven’t bought any audios so far. The tapestry style of storytelling works well, and the writing avoids dwelling too much on Jeremiah until near the end when decisions need to be made. There are some twists and even with the nature of the Committee revealed, I don’t think that will stop Big Finish making more use of them in years to come. There’s one scene where there’s the effect of a large-cast reunion (OK no Burn Gorman) and I did come away wondering how long that might be in coming. In the end a fabulous piece of production. Scott and James have raised the bar even higher with this.